I was making lunch, which always includes a tasty tofu and yogurt smoothie blended up with all sorts of other goodies. 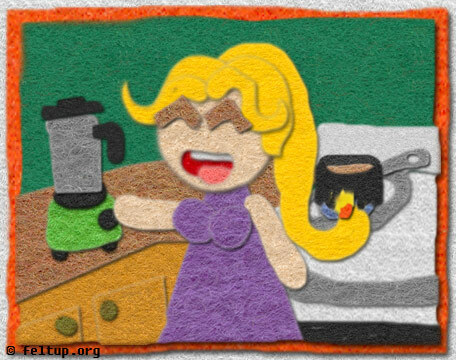 Still haven't gotten the hang of these gas burners though, since I was also making soup, and when I turned my back to blend up the smoothie, caught my hair on fire. It wasn't visually noticeable, but it smelled like hell.